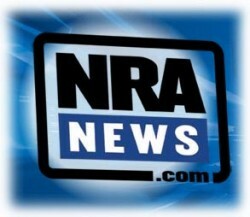 Your instructor for this concealed carry permit renewal training class will be Rick Sindeband.  Rick started Have Gun Will Train Colorado in 2010 and has been a student of the Firearms industry ever since. He has trained over the years with some of the top people in the industry. Rick can get you the information you need to keep yourself and your family from the common pitfalls of carrying a gun for self-defense. The next step in the process is to build some defensive shooting skills for Concealed Carry. Once you have your basic gun handling and safety rules behind you its time to start to learn some skills that will help protect you and your family. Presentation to a ready position from the holster and basic draw from the holster skills are primary Concealed Carry skills for anyone that will be carrying a firearm in public. Drawing from the holster is an area of much danger and that’s why some ranges do not allow it. Be sure that you have proper instruction from a qualified instructor, and practice your skills to a competent level. You also need to check the rules of the range where you will practice these skills. You need to be able to draw your gun to a ready position and fire shots on target. The performance objective for the Concealed Carry student is to be able to shoot a simple state level qualification course to a 100 percent standard starting from a ready position. Shooting a qualification course provides a mild degree of stress for the student and that is used as a stress inoculation. The State of Arizona Qualification Course from Arizona’s Firearms-Safety Program is one that I like to use. Colorado has no shooting requirement for a concealed carry permit. Using a state accepted course has value because, in the event of legal complications, jurors may not grasp the value of the XYZ training company qualification course, but a state recognized qualification may be more understandable. Instruction on legal issues and how they are applied in the context of self-defense is most important in the concealed carry arena. Most of my students get a good background on basic Colorado use of force laws covering both inside and outside the home. I think the information that Andrew Branca teaches is far and above any other on the study of self-defense law. Andrews book is available on the Law of Self Defense website or on Amazon. He also has one-day classes around the country that you can attend. In a recent article by Tom Givens in his monthly newsletter he stated that many of the incidents involving weapons and homicide go unsolved. In a recent study of 122 homicides in a large city, 98 were committed with guns, 9 with knives and the other 12 cases were unknown. Arrests were only made in 42 cases, the most common when the motive was listed was domestic or argument when the motive was a robbery or unknown there was rarely an arrest made. This reflects the difficulty in solving stranger murders in which the victim and offender are not known to each other. These are most often Street robberies and carjacking incidents. The breakdowns of the motives are listed as follow- in 120 cases 91 cases were unknown 11 were arguments,10 robberies or domestic and one was gang-related. The robbery and unknown accounted for 83% of all homicides, note that only one case was determined to be gang-related this shows that by far the greatest threat to loss of life is from robbery or unknown which usually turns out to be a robbery or attempted robbery in some form. These are crimes that are committed in public places such as convenience stores, shopping malls, shopping centers, and dangerous parking lots. This is why it is so important to be dialed into your surroundings. Know whats going on around you. You don’t have to be paranoid just pay attention, especially when in parking lots. I was recently in Colorado Springs and was going to stop at a convenience store to get a drink. When I pulled into the lot I saw some shady people hanging around and the location all of a sudden seemed not to be so safe. I drove right thru the lot and out the other side. Thus eliminating any risk I might have had by stopping at this location. Nothing we do in life is so important that we can’t change our mind about it, or use another location for the same service. One of my students recently told me about someone dropping a gun in a parking lot that he was in, and the gun discharged. Maybe it was an NCC (Nervous Chamber Checker) I have heard that they roam the streets. NCC (Nervous Chamber Checker) is a person who is not confident in carrying a gun with a round in the chamber. He or she is in a movie theatre or a coffee shop and thinks I better check my chamber and see if it’s loaded. Sometimes in the process, they can’t keep their finger off the trigger and bang, you know the rest. I can’t imagine how scary this was let alone why or how this would happen as most modern pistols and revolvers are drop safe, but think about it, parking lots are scary places. Moving cars, panhandlers, people coming and going, lots of things going on that we must be aware of. Even worse is the amount of activity in these lots around holidays. I always tell the ladies in class that if they come back to their car in the parking lot and the tire is flat keep right on walking. Do not stop at the car, it can be a setup for something terrible to happen to you. In these situations, a criminal can pose as a Good Samaritan in order to abduct women from parking lots. The man first lets the air out of his target’s car tire while she is shopping. When she returns to the vehicle, he offers to help change the flat tire. After changing the tire the man can toss you in the trunk or force you into the vehicle. Best way to handle the flat tire is to walk back into the store and call for some help. The other thing that’s great to remember about parking lots is that an auto makes a great barrier between you and someone else. You can talk to someone asking for a handout right across the hood of a car and this gives you the time and distance you need to make good decisions. As we head into the last part of the year think about your activities in some of the bigger parking lots. Pay more attention when coming and going in these parking lots and especially when you are distracted putting away groceries or carrying many items, you and your family will be safer for it. This is where a close quarters drill is a good thing to practice when carrying a concealed carry firearm. Many hazards exist when executing these drills your hands and your torso can be in the way of the muzzle. Check this video from Rob Pincus and learn some Close Quarters techniques. Remember to check the rules for the range you will be practicing at and it is always better to have a training partner so that he or she can detect anything that might not be safe in your training routine. As always I am available to run these drills with you. Sometimes an instructor can run a drill in a shooting range that you can not do on your own safely. Here are some great Dry Fire training routines that I think you will enjoy. Download the target below and print it. This target is a great resource for dry firing. The target features 5 circles scaled to reflect an 8-inch target at different ranges when viewed from a distance of 4 yards (12 feet). There are circles for targets at 7, 10, 15, 20, and 25 yards. you can download the target here.
. Learn to break the shot as your gun sites pass thru your target. Good grip and good stance are always important. As you can see in the video it is possible to practice every aspect of your self-defense shooting habits. Learn the different shooting positions and practice your draw stroke in many different situations. This dry fire training practice is essential to becoming that great gun handler you desire to be. Dave Spaulding of Handgun Combatives was the 2010 LAW OFFICER TRAINER OF THE YEAR and he talks about ways that you can practice your skills outside of the range in the comfort of your home. 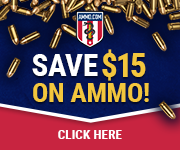 I think this target and these dry fire training routines are the best I have come across and I am integrating this into my own gun training routine. Remember I am a dealer for the SIRT Training Pistol and I would be glad to give you a quote for any model you would like to acquire.